12 available	 THE PUBLIC $11.50 Ticket includes state, city, and entertainment tax, and processing fees. Tickets are $13.50 at the door. This film included in Fast Pass admission. Film Summary: An unusually bitter Arctic blast has made its way to downtown Cincinnati and the front doors of the public library. At odds with library officials over how to handle the extreme weather event, some homeless patrons turn the building into a shelter for the night by staging an “Occupy” sit in. What begins as an act of civil disobedience becomes a stand-off with police and a rush-to-judgment media constantly speculating about what’s really happening. 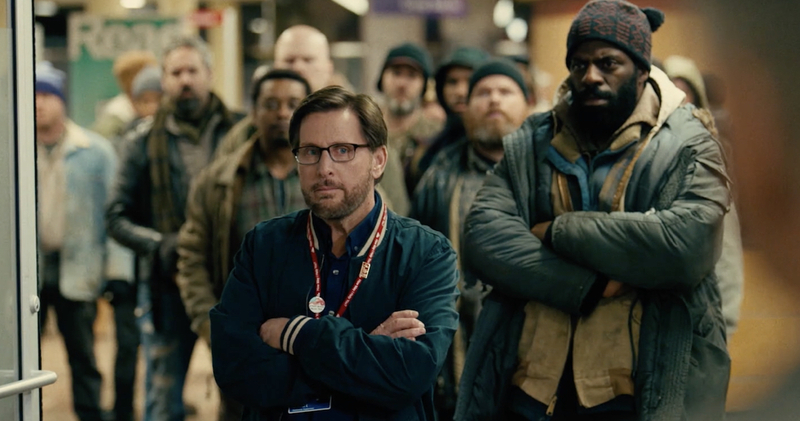 This David versus Goliath story tackles some of our nation’s most challenging issues, homelessness and mental illness and sets the drama inside one of the last bastions of democracy-in-action: Your public library. Humorous, impactful and poignant. With a little extra tooling, it would also make a great Broadway play. …it is a tribute to the cast that they manage to bring out the essence of the film, its political heart, so strongly. A book lovers dream of a movie about books, the home where books live, and all the library could be to all.